Tip to begin with Sand the Organiser with the sandpaper. 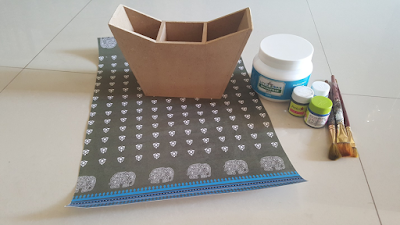 Always sand your base be it glass or mdf , before start working on them. As i was going for the ethnic design so i chose the stencil accordingly. 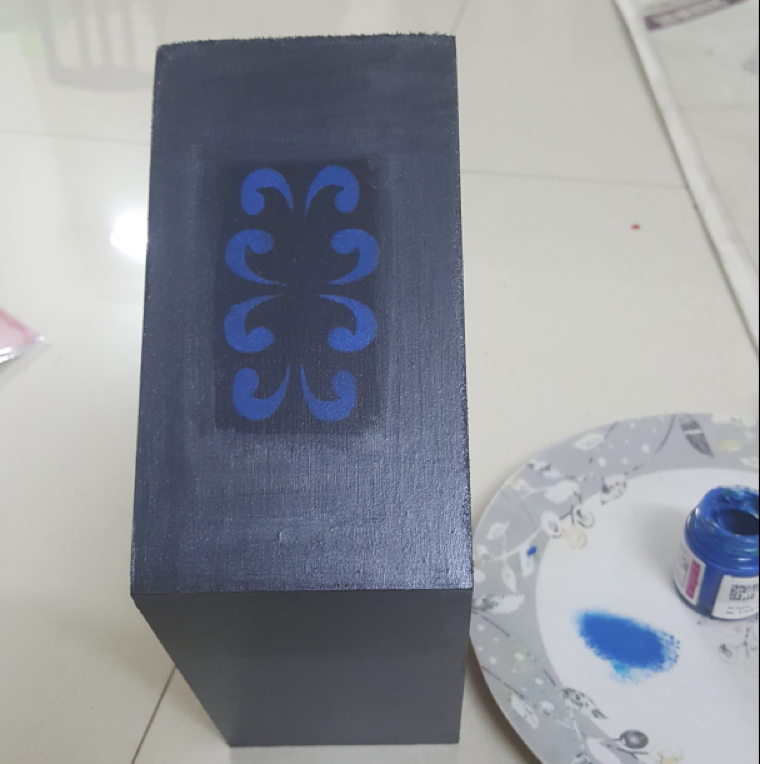 Applied the blue acrylic paint on the selected design of the stencil with a dauber on the painted sides of the organiser. 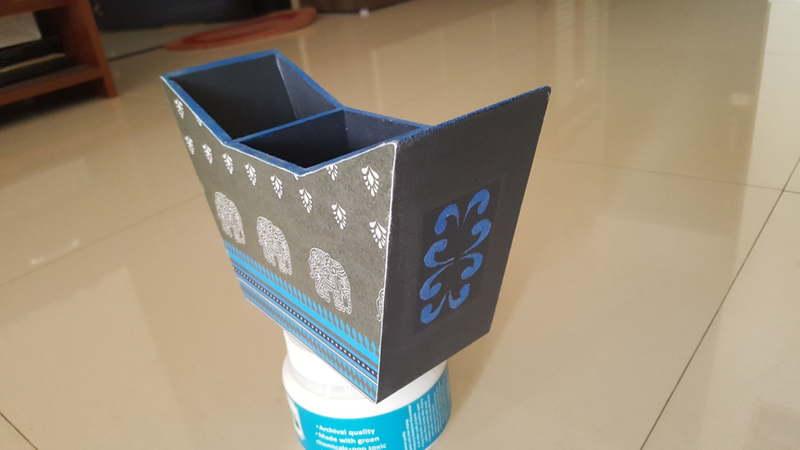 Then with the help of the Little Birdie Decoupage glue, adhered the ethnic decoupage paper from itsy bitsy on the sides and scraped the excess paper with the sandpaper later sealed the adhered paper with decoupage glue. 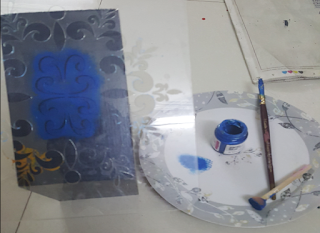 Distressed the sides of the organiser with blue archival ink and later applied two coats of varnish and to give a little extra oomph applied stick-ons on the stenciled area. Welcome the newest and tiniest guest in your house with a memory book to keep all his moments captured and secured in this baby album specifically designed for a baby boy. 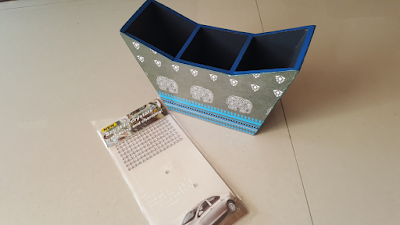 Hey All, Hope you are enoying your winters time and last month of the years doing amazing craft works. We are close enough to say good bye to this year 2017 but there’s no end to keep sharing the crafter’s stories. 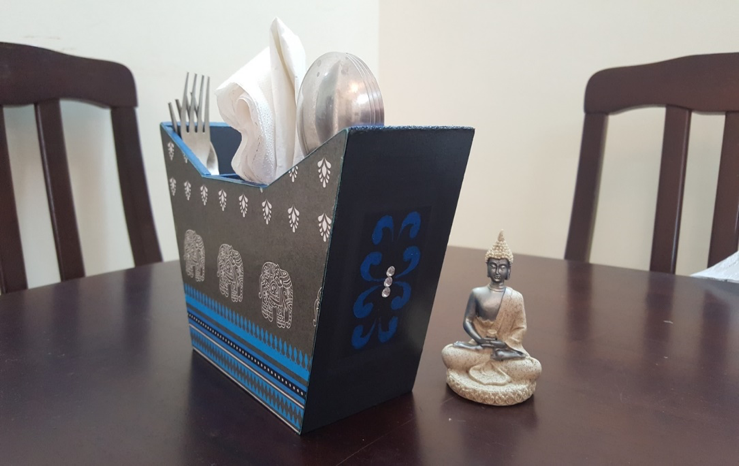 Today we bring you “Craft Enthusiast of the Week……Amisha Shah” who is based our of Kolkata and now staying in Bangalore..was fond of doing arts and crafts since childhood. 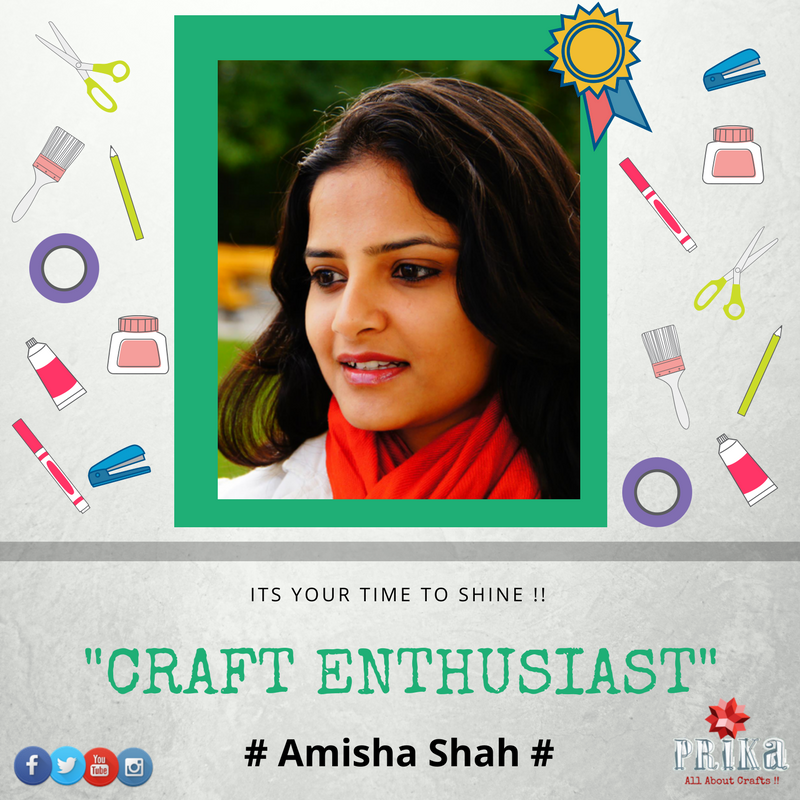 She runs an home based venture called Decor Delights by Amisha Shah!! 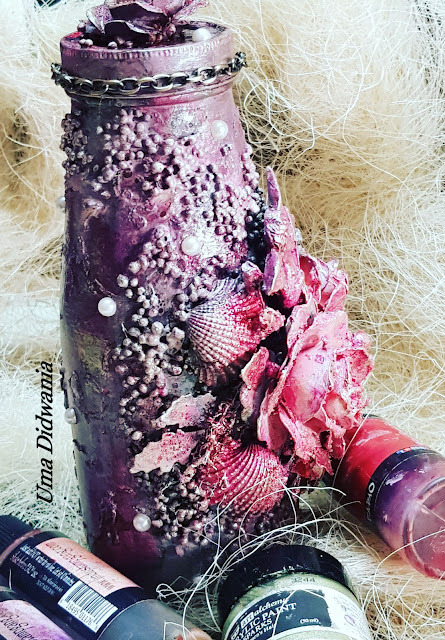 Today I will be sharing you an simple yet beautiful tutorial to redo any empty bottle into a piece of art…unused glass bottle which has been converted into a beautiful home decor product. We are very delighted to share today this simple yet classy Christmas Card. We hope you would like it and share your feedback!! 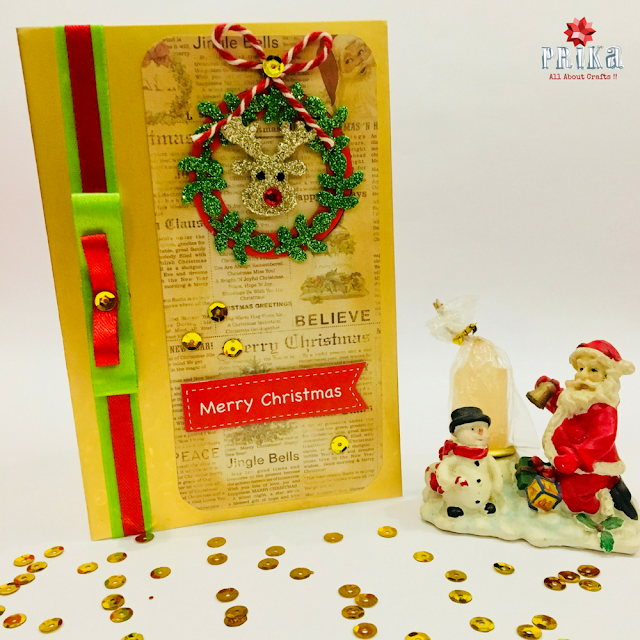 I was inspired and excited to do this card recalling my childhood memories making so many Christmas card for my friends and teacher’s for Christmas carnival in our convent school every year….. there was huge celebrations for this festive. 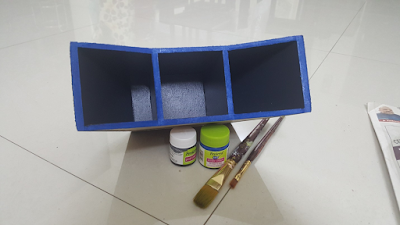 All my siblings along with me desperatly waited for santa to come and leave our expected gifts for us….. 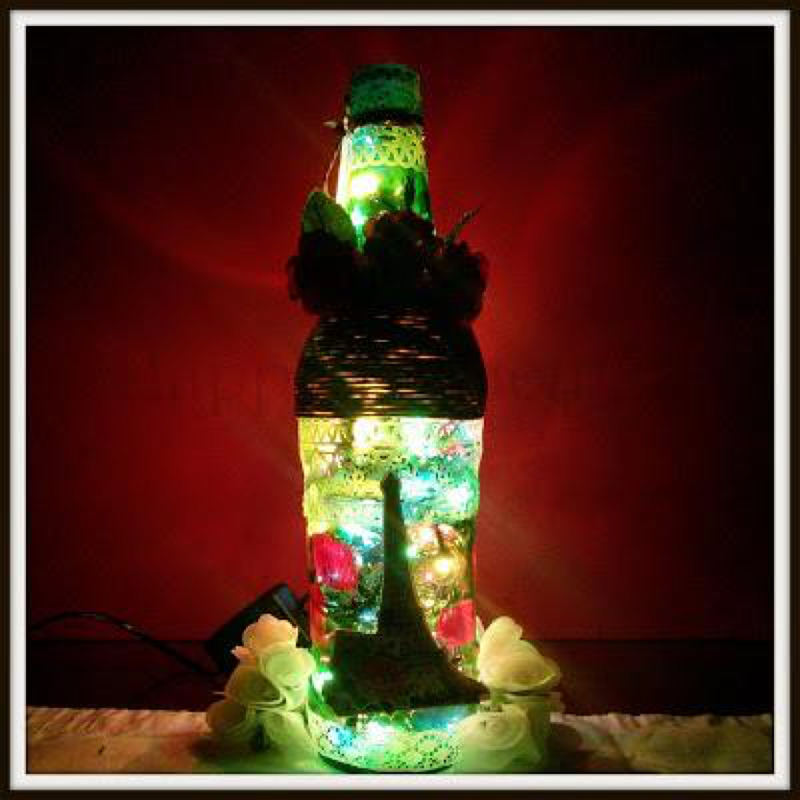 Taking you along with the process of making a Glass Bottle Lamp! The first step was to obtain some empty wine or beer bottles. I needed to remove the labels. 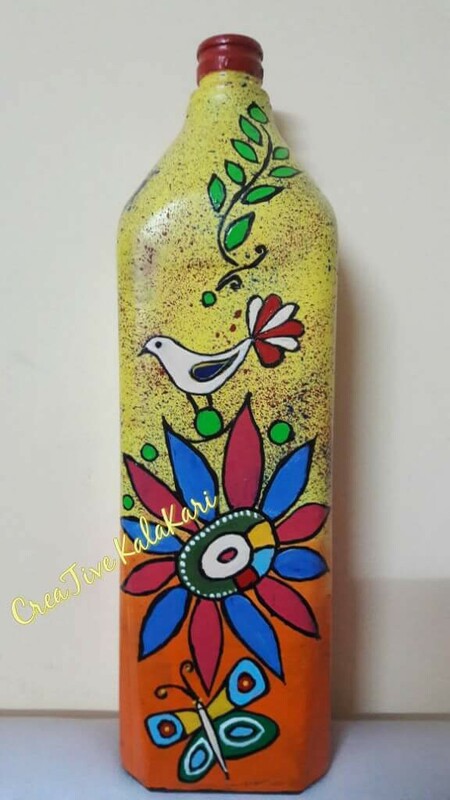 Soaking the bottles in hot water makes this step much easier than trying to scrape dry labels off the bottle.After all the labels were off, and the bottle no longer smelled like alcohol, I let it dry over night. 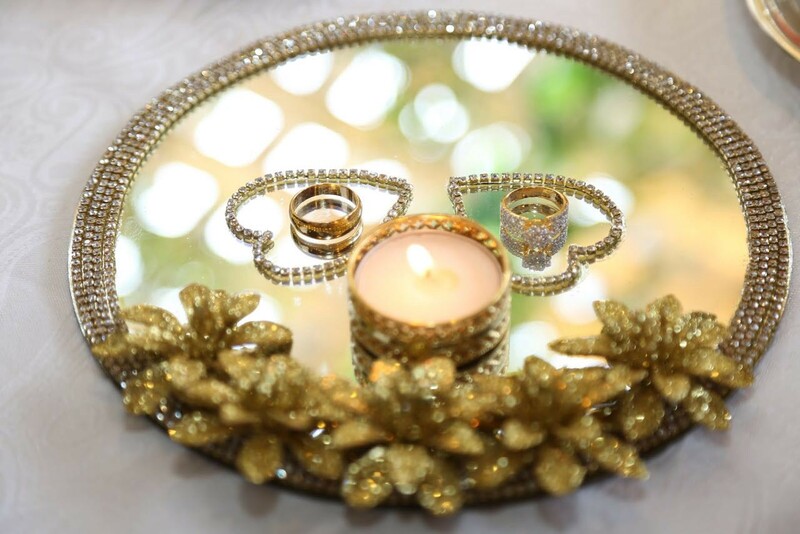 Wedding season is in and so we are here with an amazing tutorial to make a gorgeous engagement ring platter to add glam to the wedding with your very own personalised platter….If have got any of your friends or family memeber getting hitched….u should give this a try and bring a smile to them. 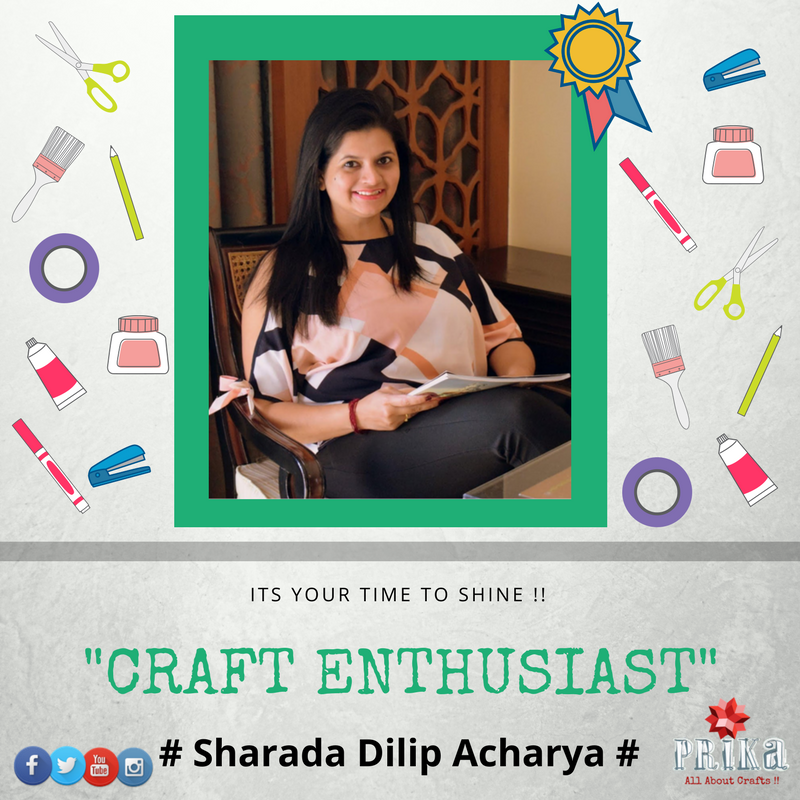 We have Pradnya Kakde sharing few simple steps to do it!! 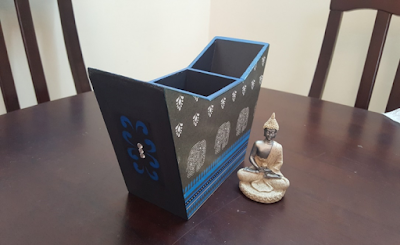 “Mixed Media Art” has always been one of the trendiest crafting style yet it requires a good practice to give an altered look and creating a distinct piece of art. Today on a very special request we bring you Uma Didwania sharing one of her mixed media art work with all of us to try making. 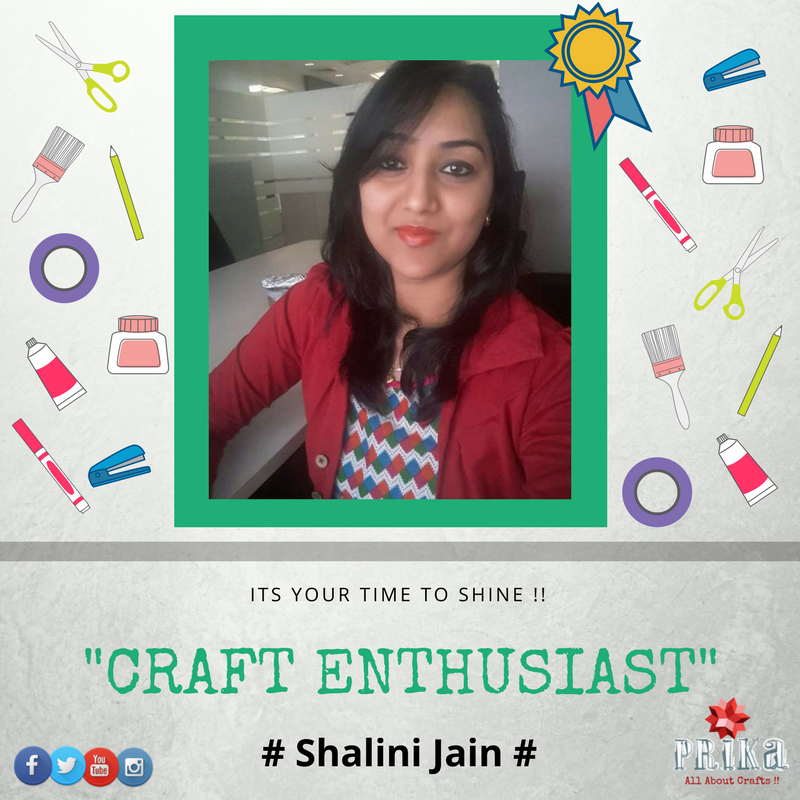 She is also very for much appreciated for making exclusive flowers which we will surely share you in our upcoming blog in coming future.